Student from Texas Charlie plays Sakura with left handed. 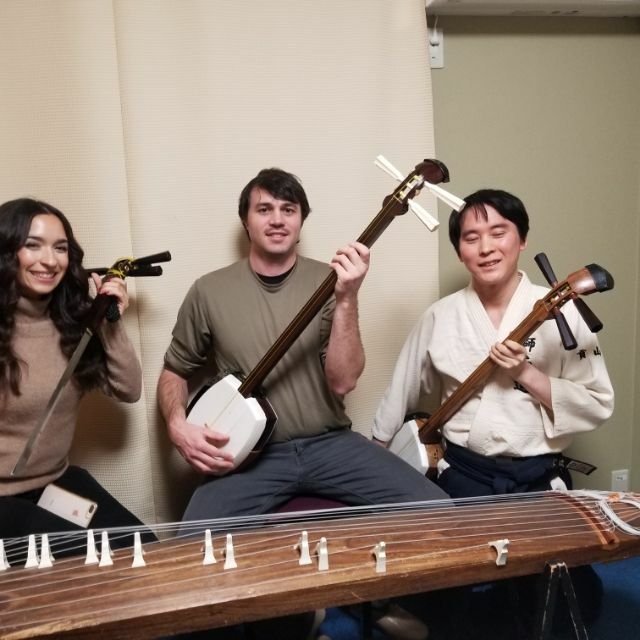 Normal shamisen totally works. The girlfriend Kelly like swords!